VE Commercial Vehicles (VECV) is one of the fastest growing commercial vehicle manufacturers in India as the company sold a record 65,932 units in 2017-18 period with 12.5 percent YoY growth. The company is planning to expand its portfolio to new segments, which will drive growth for VECV moving forward. Siddhartha Lal, CEO of Eicher Motors confirmed that the company is developing new range of electric vehicles for public transport as VECV is going to invest Rs. 500 crore for new product development and capacity expansions. The company is currently working on air-conditioned bus, which is going to be priced aggressively for public transport. VECV is leading in high performance truck segment (400+ BHP) with more than 88 percent market share and soon the company will introduce more models, which will cater to quarrying, road construction and mining sectors. They are also developing BSVI engines, which will be launched before April 1, 2020 deadline. The upcoming bus and trucks will be manufactured at its plant in Madhya Pradesh and they are focusing on exports markets like Middle East and African markets. VECV is developing light and heavy duty bus especially for these exports markets and the company will enter ASEAN market as they are working on setting up an assembly plant in Bangladesh. VECV officially entered electric bus segment in India earlier this year with the introduction of Skyline Pro and the electric bus has already commenced operations in Kolkata. 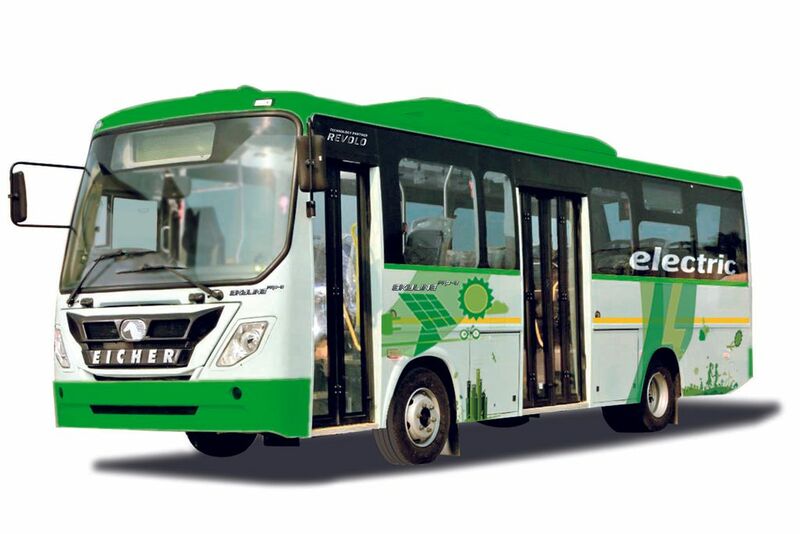 The zero emission bus is based on Eicher’s Skyline pro platform, which is already used in some other products and the bus is developed in collaboration with KPIT technologies. According to VECV, the electric bus has a range of 177 km on a single charge and the company has given regenerative braking system to improve range. This system is especially tuned for Indian conditions and the bus consumes less than 0.8 electricity units/km. We can expect VECV to expand operations of zero emission bus to other cities also.